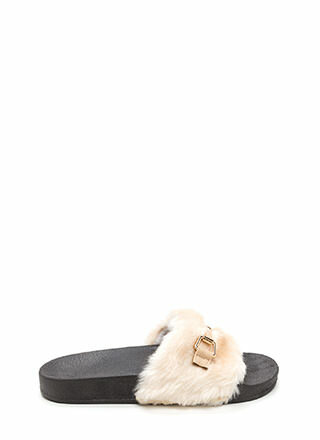 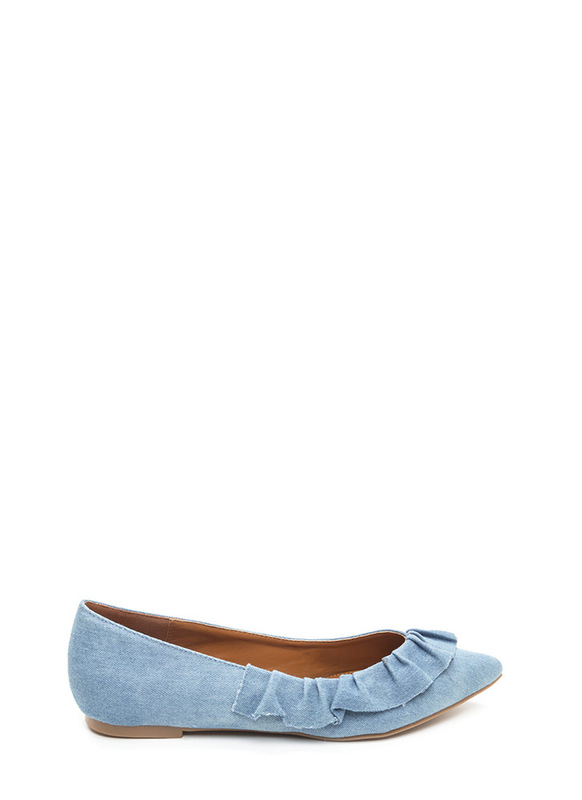 Turn up the drama on your flats with some textured flair! 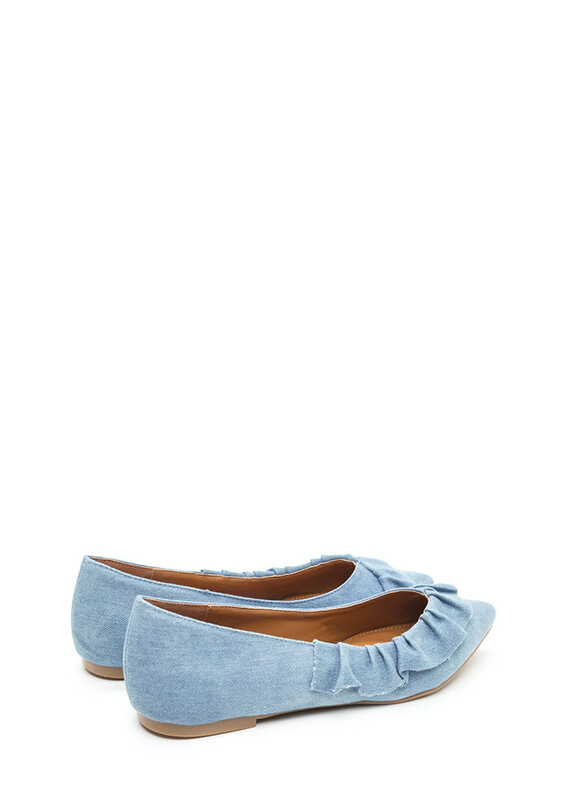 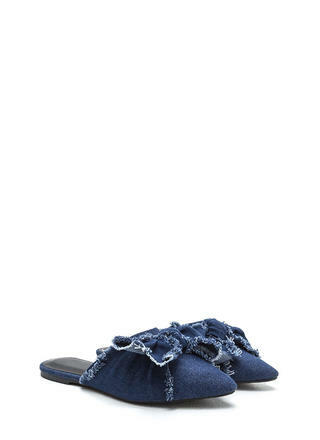 Denim flats feature ruffled trim that extends from the side onto a pointy toe box. 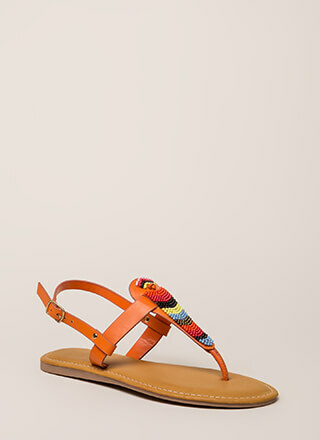 Finished with a ridged sole.